Since its inception in 1993, Temec Ltd. has developed into one of Ireland’s premier mechanical services engineering companies, delivering prestigious largescale projects across the commercial, industrial, retail, educational, medical, recreational and institutional sectors. Building Ireland met managing director Joe McCarthy to find out more. From Trinity’s Biomedical Sciences Institute, the RCSI and Pathology Buildings in Beaumont Hospital, Dundrum Town Centre Buildings 3&4, the Westin and Hilton Hotels to Block E, H and I in Central Park, Temec has delivered unrivalled mechanical engineering solutions on some of Ireland’s most iconic buildings over the past quarter of a century. 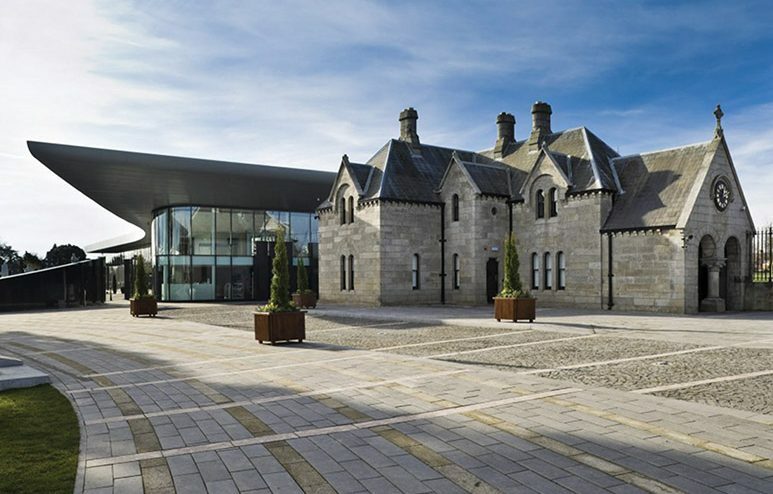 The company can include Green Properties, AIB, Easons, Royal College of Surgeons, Samsung, Vodafone, Standard Life, Mastercard and the RDS amongst its impressive portfolio of satisfied clients, regularly taking on projects alongside a veritable who’s who of the country’s main developers and contractors. Regarding the key ingredients that have helped establish Temec as a commercial mechanical contractor of choice, MD Joe McCarthy notes: “There are a number of key factors for our success and reputation for top quality projects. We carry out the installation works with our own workforce, rather than acting as a management company for labour only sub-contractors. This allows us ensure quality workmanship. We also ensure that all levels of staff get involved in multiple aspects of each project. This provides them with invaluable experience in numerous aspects of our business and results in our workforce taking a personal interest, and pride, in the finished product. Also from a management viewpoint, it continually results in fresh thinking and new ideas, allowing our company to stay at the forefront. We also take a long term view on our projects. Building and maintaining our reputation is extremely important and it’s not always about the financial bottom line. We focus on delivering quality work. We also know the importance of our supply chain, and by treating them with respect and fairness, we know we will get great service, which passes on to the projects we complete. Temec is fully committed to delivering modern and effective multi-disciplined services, using the latest industry procedures to ensure that all projects are delivered on time and within budget. Their pro-active approach and management systems ensure an effective and prompt interaction with clients as well as design and construction team members. With a proven track record for excellence, Temec Ltd. invest considerable senior management time and finance to ensure that staff and systems develop and evolve to reflect the changing demands of the construction industry, leading to many high-value contracts and a large volume of repeat business. Safe-T, IOSH, CIF and CIRI registered and certified, Temec have developed an A-grade in-house safety management system tailored to meet the specific needs of the company and the modern construction industry, which is continually developed to ensure the safety, health and welfare of staff and the general public. Temec also utilise an external safety consultant to carry out regular site safety audits and ensure that all safety procedures are rigorously adhered to. Mechanical contracting on commercial office blocks – new builds and refurbs – has developed into a specialist area of expertise for Temec. “We’ve been doing them for so long now that we know what to do and, perhaps more importantly, what not to do,” Joe states. Direct employment is generated for a team of 45. “We carry out most of the installation work ourselves to maintain better control of the contract and to achieve a better quality installation,” the MD continues. How’s the order book looking at present? “It’s one of those industries where it goes up and down. We’ve had a very busy two years, hit a bit of a quiet spell, and now have a number of new projects due to kick off, so things are looking promising. Regarding the future of the industry “There are a number of issues that are affecting the industry. Brexit is obviously going to be an issue going forward and its currently unknown effect on investment and the supply chain. Introducing new people to the industry is also an issue across the board, from apprentices to engineers, but the CIF and DIT are making great efforts to address this.